Christophe Harbour is an ideal opportunity: a chance to invest in a distinctive Caribbean development on one of the world’s best and most stunning natural harbors, with ultra-luxury amenities available today and more to come. Let us show you why Christophe Harbour is destined to be the most distinctive development in St. Kitts and the Caribbean. Christophe Harbour is home to the new Park Hyatt St. Kitts, the island's first 5-star luxury resort which opened in 2017. Playing at our legendary Fazio golf course will be like playing golf in the sky. 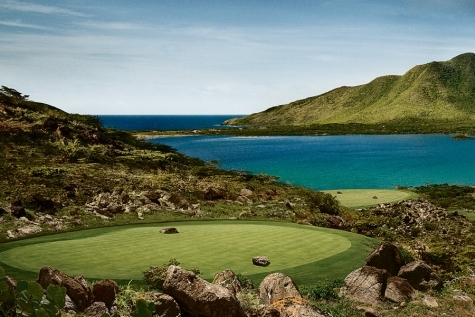 The championship 18-hole Fazio golf course at Christophe Harbour is destined to become the top Caribbean golf course, visualized and built by renowned course architect Tom Fazio. Set more than 500 feet above the sea, with a 360-degree panorama of blue waters and lush, green hillsides, the golf course will offer breathtaking views and new challenges for golfers. Tom Fazio himself says the course will be “the best of the best” of Caribbean golf courses. Golf course amenities will include superb golf practice facilities and a clubhouse and restaurant.